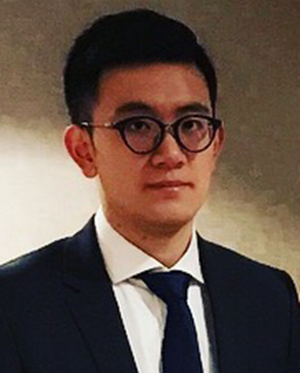 Zhe Sun, a doctoral student studying construction engineering at SSEBE, was awarded one of ten awards funded by the Airport Cooperative Research Program for his exploration of new public-sector aviation issues. His one-year project, Using Automatic Speech Recognition and Linguistic Analysis for Real-Time Communication Error Detection and Proactive Air Traffic Control, aimed to reduce communication errors between pilots and Air Traffic Controllers. Communication between ATCs and pilots exchanges information and employs a read-back procedure to guarantee that the information can be properly understood. Still, communication errors between the Air Traffic Controllers and pilots constitute a majority of aviation accidents. Clear and complete exchanges of information between ATC and pilots are critical to ensuring safe air traffic coordination. Using real-time Automatic Speech Recognition and Linguistic Analysis, Sun detected anomalous ATC/pilot communications to see if that significantly reduced communication errors and streamlined air traffic control. Sun works with the Spatiotemporal Workflows and Resilient Management Lab managed by Pingbo Tang. The SWARM Lab at ASU hopes to improve next-generation air traffic control with $12,000 from the Airport Cooperative Graduate Research Program. This award is made by the Old Dominion University Research Foundation on behalf of the Virginia Space Grant Consortium, which manages the Graduate Research Award program on behalf of the ACRP.